Ah, spring rituals. 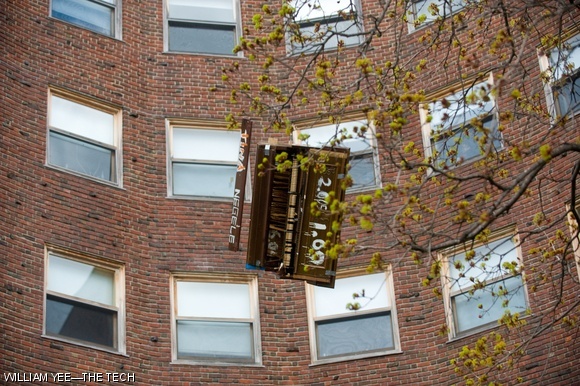 At MIT, the annual Baker House Piano Drop is a sure sign of buds in bloom and the semester winding down. This year, some 200 students gathered April 23 for the plunge of a 500-pound piano to commemorate course Drop Date on the academic calendar. Piano lovers relax! This year’s victim piano, as past year’s, was unusable. The donor, a New Hamshire resident, offered a Huntington piano with a broken frame, missing keys, and other signs of demise. “We don’t use functional pianos,” says an event organizer, Alex R. Camacho ’10.